Visitors to Berkeley Springs, West Virginia continue to discover Highspire. If your non-profit or civic group is planning a Garden Tour of Morgan County, please e-mail in advance to request a visit to Highspire. Note: All Open Garden Days are subject to weather conditions and scheduling updates. Check this website prior to your visit to verify the date you desire is still on the schedule. Highspire is located in Berkeley Springs, Morgan County, West Virginia - approximately 100 miles west of Baltimore and Washington DC. Today, Highspire is a private residence and is open for Garden Tours on the schedule (see above) and for non-profit and civic groups by advance appointment only. Highspire is located on Lots #110 and #111 and is Stop #26 on the Walking Tour of Berkeley Springs, the printed guide of which is available from Travel Berkeley Springs (1-800-447-8797) and the Berkeley Springs Chamber of Commerce at 121 Fairfax Street. In recent years, Highspire has hosted special events for organizations including the West Virginia Master Gardeners State Convention Garden Tour and the Foxglove Garden Club 30th Anniversary Celebration. Each Halloween will find children lined up early at Highspire for the largest privately-sponsored Trick-or-Treat celebration in Berkeley Springs. The Town of Bath (Virginia) was established by act of the Virginia legislature in 1776. Following the split with Virginia in 1863, the town later became known as Berkeley Springs, West Virginia. The Town of Bath was laid out in over 100 lots in 1777. The lots were sold at auction to seventy original landowners. The current Victorian home is not the first structure to be built on Lot #110. In 1791, a three-story Tavern was built on Lot #110 by James M. Wheat. Known as "The Wheat House", the tavern's location was convenient because the Town Jail was located directly across the street on Lot #109. The stable for the tavern was located on the rear portion of Lot 110 and forward section of Lot 111. The tavern was leased by Robert Bailey from 1811 to 1818 and used as an inn to house visitors for the popular summer season. The structure was again operated as The Wheat House by James Wheat in 1824. John Strother took ownership in 1834 and used the building as a boarding house, known as "The Pavilion", at least through 1834. No records are known reflecting when this first structure on Lot #110 ceased to exist. Remants of the early days of the tavern and stables can still be found when digging deep for new flower beds. Miscellaneous bits of pottery and porcelain, marbles, bottles and horse tack are common finds. Highspire, the current Queen-Anne Victorian residence, appears on the tax roles of 1895, confirming its construction on Lot #110 in 1894. Over the years, Highspire has passed through numerous hands, serving a both a private residence and, on occasion, a multiple family dwelling unit. After returning to its original single family configuration in the 1950s, Highspire has remained in that configuration since that time. 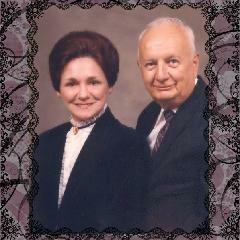 Robert Somerville Byers and Rita Lee Byers purchased Highspire from Ruth D. and Frank J. Kysela on June 1, 1977. Rita had admired the home for many years and had often expressed her interest in the striking "house with the tower" to one of her friends, a local realtor. When the Kyselas placed the home on the market one morning with that same realtor, the listing never went public. The realtor called Rita at home, who in turn telephoned Robert at work informing him to come to the realtor's office at lunchtime and "bring the checkbook." Hence, the deal was done. Todd and Tina Byers came into possession of Highspire upon the passing of Rita Lee Byers in 1995. Since that time, the residence has been improved and the surrounding gardens have expanded through the talents and sweat equity of both Todd and Tina. © Copyright 2007-2014. All pages, images and content are protected. ALL RIGHTS RESERVED.